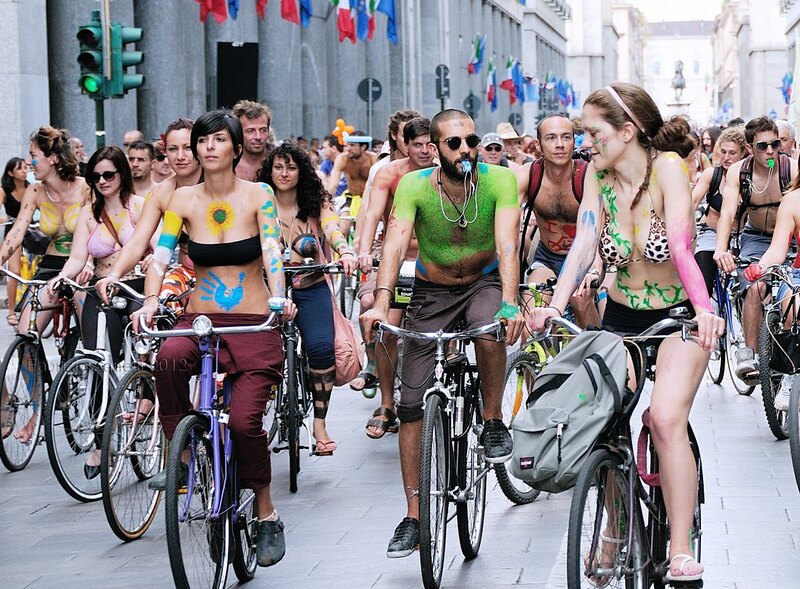 When you invite a bunch of people to get together and ride their bikes as part of the World Naked Bike Ride, aren&apos;t you kind of just asking for trouble? Surely, someone is going to get a little bit too, er, "excited," no? 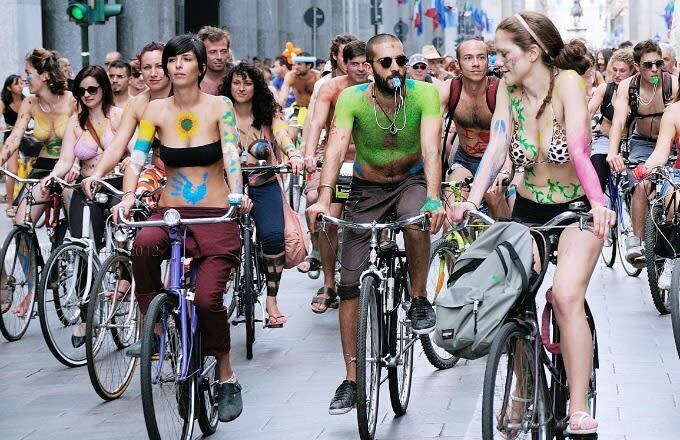 Especially when most riders are 100 percent naked (we&apos;ve included a SFW shot above, but just about all of the World Naked Bike Ride photos that are out there feature people without clothes on—R.I.P. to my poor, poor eyes). You would think that all of that would kind of go without saying. But over the weekend, a cyclist was actually removed from the naked ride in the city of Kent over in England after he got an erection during the event. He ended up getting into big trouble for it and was asked to leave immediately. "I heard gasps and I turned around—it was a horrible sight," a witness told the Cambridge News. "It&apos;s fair to say he was overexcited and got aroused. It looked like he was enjoying the event a bit too much. One of the organizers went over to him and told him to put his trousers on while speaking on a walkie-talkie to police. The man looked sheepish when he was spoken to by the police." World Naked Bike Ride organizer Barry Freeman went on to say that the man "was dealt with and removed before the ride started." Poor guy. Maybe there&apos;s more to this story and he was acting really inappropriately or something. But something tells us he won&apos;t be the first (or last) person to run into this problem during a NAKED (!) bike ride.